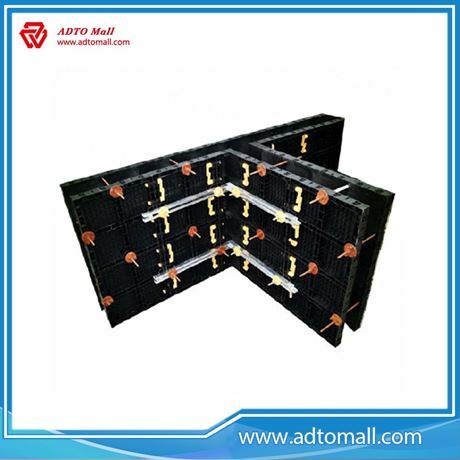 ADTO Plastic formwork is an easy and intuitive system of PC-ABS formworks for building concrete walls, basements, columns, slabs, etc. 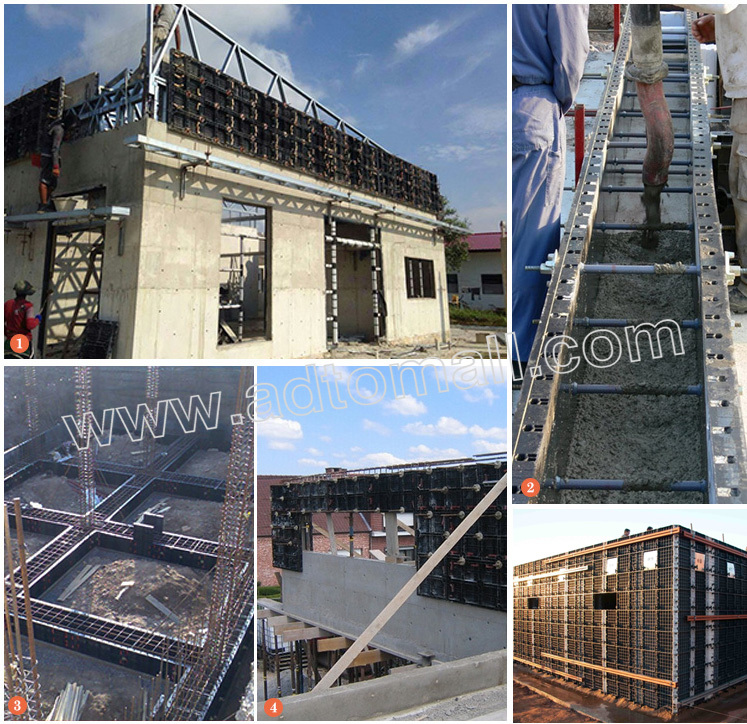 Compared with the traditional plywood or steel systems, plastic modular formwork is handier, average cost effective and faster to set up, save time and labor. Long lifespan & Cost effective -- Plastic Formwork can be reused over 50 times, where Plywood can only be reused 3 to 5 times. 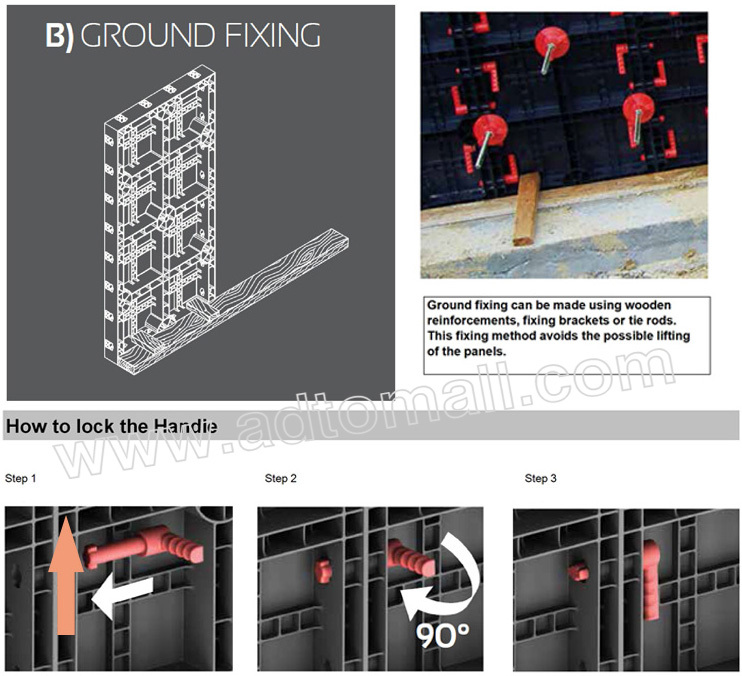 Therefore the Plastic Formwork is more cost effective than the steel or bamboo formwork. Interlocking Design -- No release agent needed, good effect of demolding. 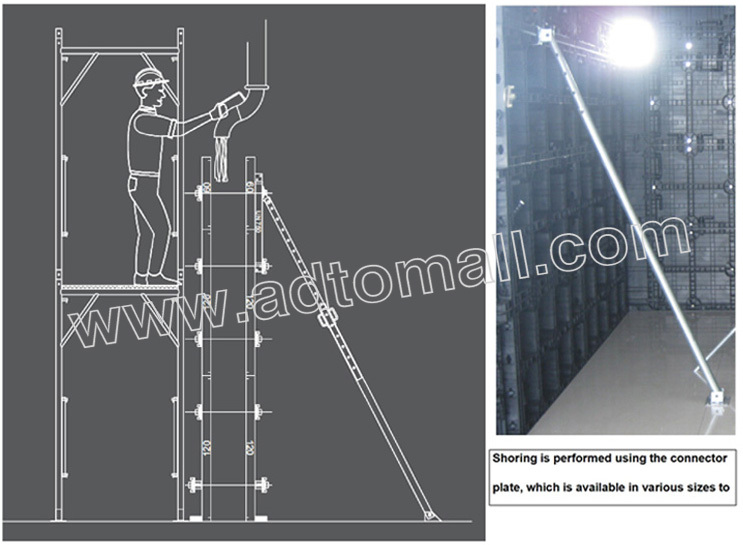 Simple Installation -- Lightweight and safe to handle, easy cleaning and very robust. 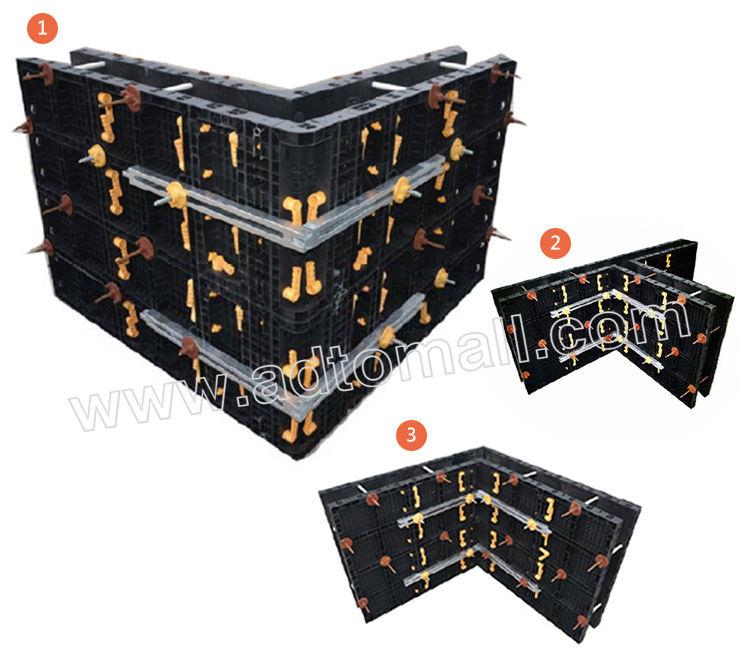 High Quality -- Abrasion resistance, excellent mechanical property, best impermeability. 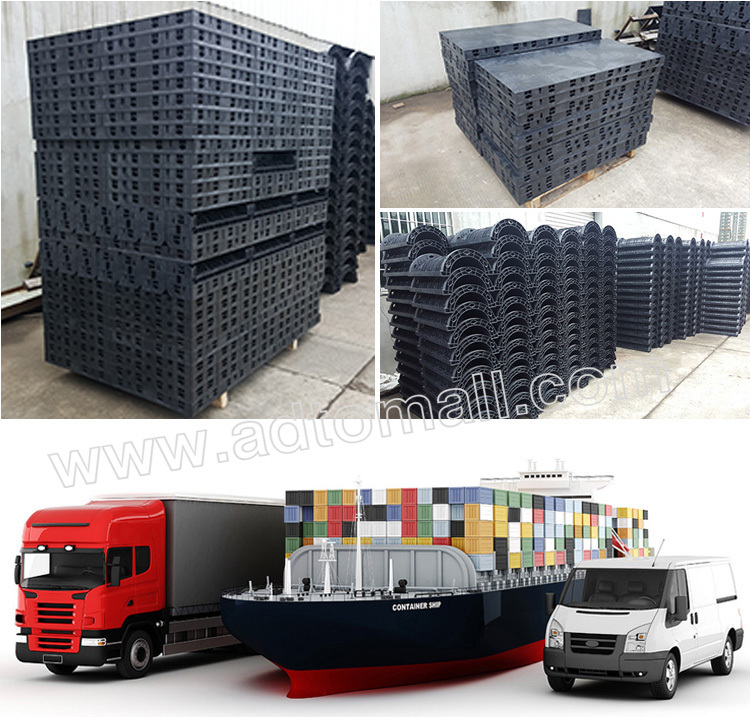 Our plastic formwork are high quality, it can be widely used in many area, it is efficient, saving labor and material, safety and environmental protection. 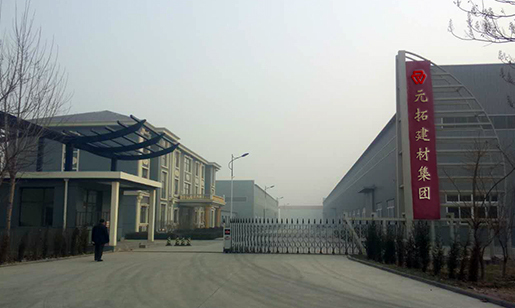 ADTO Industrial Group, Co., Limited, founded in 1998, ADTO is a leading building material supplier and manufacture in China, centering on R&D, producing and selling of building material of scaffolding, aluminum formwork, fastener and coupler, integrates business of steel, logistic and wire & cables service. The group has more than 10 subdivisions and four manufacturing bases, possessing the right to import and export with business coverages spanning over more than 50 places and areas. Over 5000 international big buyers keep ADTO as their long term business partner. 2. Product Idea: Quality decided to safety, safety is the hard truth. 5. 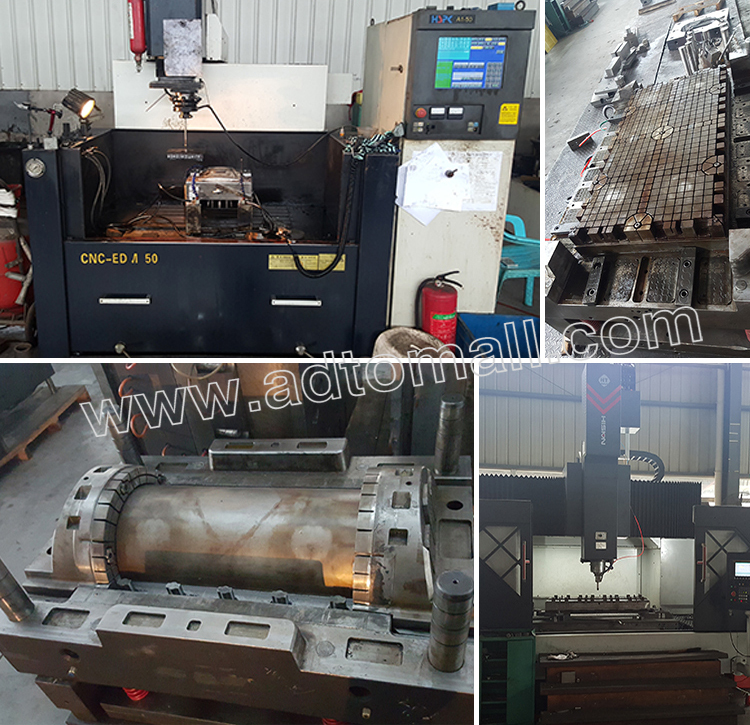 OEM or Customized Service is available. More detail, welcome to send inquiry.